Cate Blanchett, an Australian actress and theatre director known for her role as Elizabeth I of England in Shekhar Kapur's 1998 film 'Elizabeth' is married to Andrew Upton, an Australian playwright, screenwriter, and director. The star couple has been married for more than 19 years and also shares four children together. How is the relationship of the couple? What about their children and family? If you are curious to know then let us begin!!! "We didn't like each other for a long time. We knew each other socially and we didn't really get on". They, however, started knowing each other and eventually for each other. "Actually after three days,'He turned to me, we were in bed, as you are after three days, and he said. “Cate.” And I thought s**t he’s gonna ask me to marry him and I’m gonna have to say yes." "He turned to me, we were in bed, as you are after three days, and he said. “Cate.” And I thought s**t he’s gonna ask me to marry him and I’m gonna have to say yes". 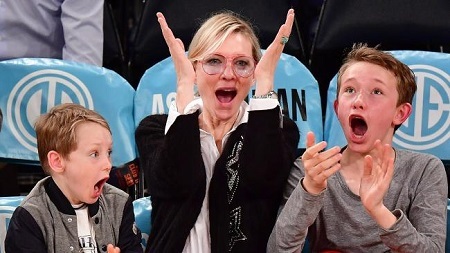 Cate also revealed how Andrew proposed her for the marriage. "I cooked him the worst meal,' she recalled. 'I somehow decided that to stuff a trout with walnuts and goat’s cheese would be a good idea." "He ate it and then he asked me to marry him so clearly he was I don’t know hallucinating. He realized I couldn’t cook." The couple married on 29 December 1997 and the rest is history. Here's an Instagram post of Cate celebrating Valentine's Day 2019 with her darling husband! The duo celebrated the 21st anniversary and there is no doubt that they are living a blissful life with no divorce rumors. 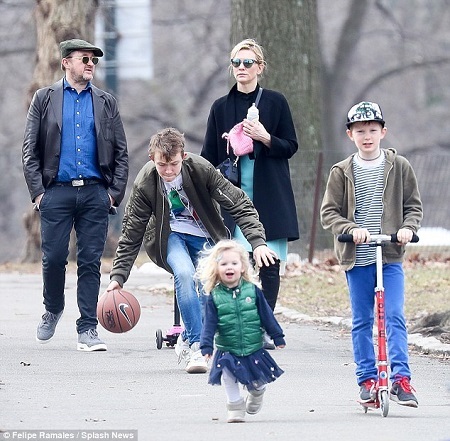 The couple also enjoys the love of their four children: 3 sons and 1 daughter. The couple first welcomed their baby boy, Dashiell John Upton on December 3, 2001, and following the 3 years later they welcomed another baby-boy, Roman on April 23, 2004. Similarly, on April 13, 2008, another baby-boy, Ignatius was welcomed in the family. 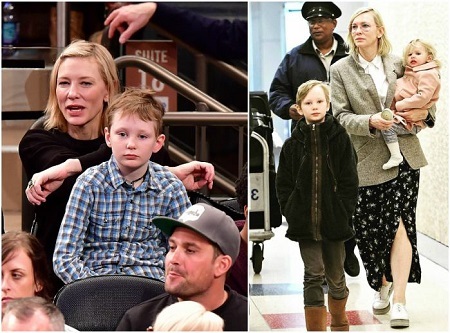 Also, the dream of Cate to adopt a baby girl came true, when and Andrew adopted 7 months old cutie, Edith Vivian Patricia Upton in March 2015. "No, I don’t think we have any more rooms left in our house. We’re surprised by how quickly our boys have accepted our little girl. They treat her like one of the family and that’s really been beautiful for us to see." Love to this beautiful family!!! Was born on 14 May 1969, in Ivanhoe, Victoria, Australia as Catherine Elise Blanchett. Studied economics and fine arts at the University of Melbourne but dropped out after one year to travel overseas and later graduated from NIDA with a Bachelor of Fine Arts in 1992. Won an Oscar for portraying another Oscar-winning actor as Katharine Hepburn in "The Aviator." Appointed as a global Goodwill Ambassador by United Nations High Commissioner for Refugees in 2016. She has an older brother named Bob who works in the computer field, and a younger sister, Genevieve who is a theater designer. She is the eighth highest paid actress of 2017 with a net worth around $12 million.